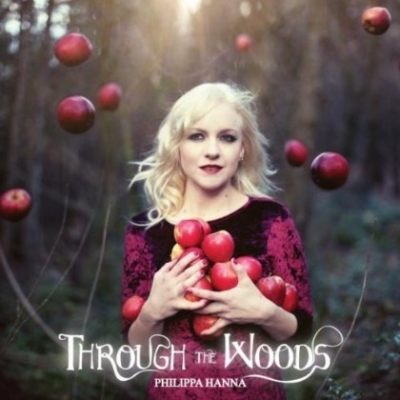 I have just discovered a singer, song writer called Philippa Hanna, and I've become quite addicted to her music. As I said, I went to Rebecca Ferguson's tour last week and Philippa Hanna was her first support act. I never really expected to like her, because I've not listened to her style of music much, but after seeing her perform I was hooked! Straight away we bought her album "Out of the Blue" because her voice sounded so soft and pure. It has such a lovely quality and tone to it, that when she was performing I was captivated! The song that I've listened to the most is I am Amazing. 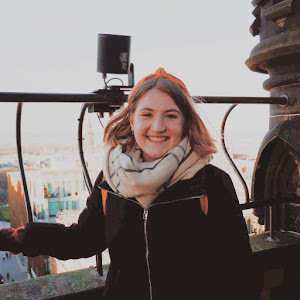 Before singing this song, Philippa explained that she has been rejected from singing competitions and told she doesn't have the right image for the industry (which I find really hard to believe as she is beautiful). This song tells us that we shouldn't change ourselves for others, and we should be comfortable as ourselves. She describes it as a "disguise" that she puts on to hide, and this stuck with me, because I feel like too many people try and be who they aren't so that they fit in, when ultimately it makes us unhappy. So many of are, including myself, are guilty of this and its something that we should try to overcome. Listening to her other songs, they all include an empowering, positive message. She is one of the few artists that I've listened to and felt like she does actually care about these things and not necessarily making a chart topping song. So I'd highly recommend listening to her albums, I like to start the day by playing one as I think it gets me ready for the day, and puts me in a good mood. Here are all her links, and I hope you can take something from her songs too!